Enjoy a fantastic lunch, great networking, and remarks from community leaders! 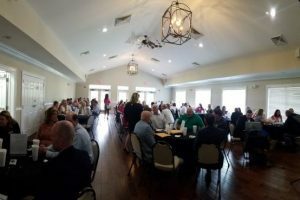 Lunch with Leaders is a mid-day event for making connections, learning from an esteemed member of the community, and a meal. 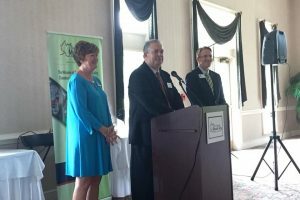 By popular demand, it was recently restored to the The Greater Mount Airy Chamber of Commerce Events Calendar and is held periodically throughout the year. Attendance can range from 50 to over 100, with representatives from across the greater Mount Airy region. 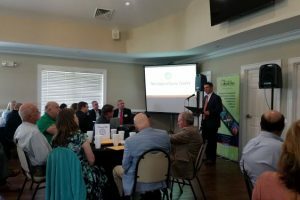 Sponsors of Lunch With Leaders typically receive a reserved table at the event, promotion associated with the event, and other added benefits. 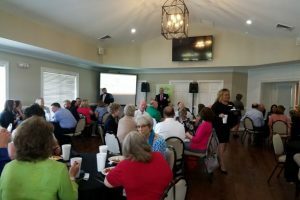 This can be a great opportunity for businesses or organizations looking to support the specific topic or speaker of the Lunch With Leaders event, or to form closer acquaintances in the community. If you are interested in participating in or sponsoring a future Lunch With Leaders, please contact us. 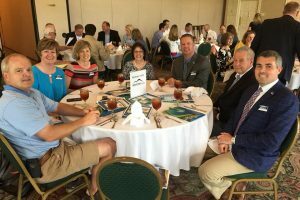 Or click the button below to sponsor the next Lunch With Leaders. The goal of this event is to create networking and learning platforms for businesses and community members, which is a major component of our Strategic Plan. 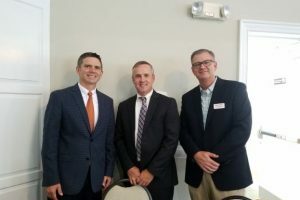 The Greater Mount Airy Chamber of Commerce chooses relevant topics of interest, and invites highly esteemed members of the community to speak at Lunch With Leaders. If you are interested in speaking at a Lunch With Leaders or know of someone who would do well as a keynote speaker at this event, let us know.